حصلت شركة إس تي إس”STS” الأردنية الرائدة في تقديم حلول نظم المعلومات وحلول تكنولوجيا المعلومات والاتصالات المتكاملة للمشاريع الكبرى في المملكة والمنطقة على جائزة أفضل شريك أعمال لحلول البنية التحتية كخدمة السحابية من شركة “أوراكل ”Oracleبمنطقه مصر والشام وشمال افريقيا لعام 2018، والتي أعلنتها “أوراكل”Oracle خلال حفل تكريم شركاء أعمالها في مختلف فئات الحلول التي تقدمها بمنطقة مصر والشام وشمال افريقيا. وقد ترشحت شركة إس تي إس “STS” لهذه الجائزة من بين مجموعة من أبرز شركاء “أوراكل ”Oracle في المنطقة، حيث جرى إخيتار الشركة لكونها الأفضل في هذا المجال ذلك لما أنجزته من مشاريع ناجحة داخل المنطقة وخارجها خلال العام 2018. و من الجدير بالذكر أن شركة إس تي إس”STS” الأردنية قد نالت على جائزة أفضل شريك بالمنطقة لشركة أوراكل للسنة الثالثة على التوالي، حيث انها حصدت جائزة أفضل شريك أعمال لعام 2016 عن فئة أنظمة اوراكل بالاضافة الى جائزة العام 2017 عن فئة حلول قواعد البيانات، ما يؤكد إستمرارية إلتزام الشركة بالحفاظ على موقع القيادة بين شركات تكنولوجيا المعلومات في المملكة والمنطقة الذي دأبت عليه شركة STS عبر السنين. وقد جرى تسليم الجائزة في حفل يوم الشركاء السنوي الذي أقامته شركة “أوراكل ”Oracleإلى مدير قيم حلول ومنتجات البنى التحتية في شركة شركة إس تي إس “STS” رامي الحنيطي في فندق فور سيزونز، في بيروت، في دولة لبنان العربية. و تعليقاً على هذه الجائزة أكد الحنيطي على عمق الشراكة مع شركة “أوراكل ”Oracleوعلى حرص شركة إس تي إس “STS” على استمرارية التعاون والالتزام بالمضي قدماً بالمزيد من الانجازات في المستقبل وبالأخص في مجالات حلول الحوسبة السحابية مع الحرص على المحافظة على أعلى تصنيف شراكة الذي تتمتع به إس تي إس “STS” منذ سنوات عديدة. Orange Jordan recently renewed its strategic partnership with the twelfth annual Special Operations Forces Exhibition and Conference (SOFEX 2018), entitled “Hybrid wars in the international gray zone – the changing operational environment” that will be held this year at the King Abdullah I Air Base, located in Marka between 7 and 10 May, 2018. According to the agreement, Orange Jordan will be SOFEX’s sole telecommunications provider and exclusive telecom sponsor, and will be responsible for providing telecom and internet services for all SOFEX activities and visitors, whereby Orange will as well display its vast array of technologically advanced products and services in a special booth during the exhibition, showcasing the security solutions it offers its customers and subscribers. Director General of Sofex, Amer Tabaa affirmed the importance of Orange Jordan’s role in the local telecommunications sector, especially as it provides the local market with the latest technology, thanking the company for sponsoring and supporting Sofex in its twelfth cycle, stressing that the company has always been a sponsor of former Sofex exhibitions asit reflects its commitment and social responsibility to society. From his side, Chief Enterprise Officer at Orange Jordan, Engineer Sami Smeirat, said that the company constantly seeks to be part of this important national event, which is held annually under the Patronage of His Majesty King Abdullah II, pointing out that the strategic partnership between both parties affirms Orange Jordan’s commitment towards supporting and enhancing the Kingdom’s efforts in creating development in all aspects. The company is also dedicated to offering new and innovative telecommunications options across the Kingdom, as it falls in line with the company’s five-year corporate strategy “Essentials 2020” which focuses on providing continuity in telecommunications and richer connectivity. He added that “Sofex is considered to be one of the most prominent and important global exhibitions, and provides added value to all participating companies in all aspects, which solidifies the Kingdom’s position, making it one of the most important global destinations in this aspect. During its current cycle, the exhibition will witness a wide participation of companies from different countries, leaders, experts and specialists in the world and will discuss everything related to contemporary global security issues and the role of technology in driving them. حرصا من وزارة العمل على ان يكون وجودها متلائما مع التطورات الاجتماعية لإزالة أية عوائق تحول بين الوزارة والعامل أو صاحب العمل، اطلقت وزارة العمل موقعها الالكتروني الجديد والذي يوفر أهم المعلومات والأخبار المتعلقة بالوزارة وقطاع العمل. يقدم موقع الوزارة الجديد كافة التسهيلات و الخدمات التي يحتاجها الزائر ليجد المعلومة و الفائدة كما يضم بوابة خاصة بالاقتراحات و الاستفسارات. 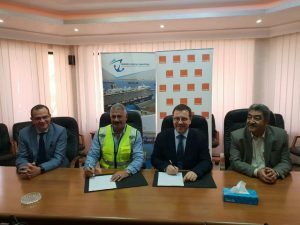 Orange Jordan has recently renewed its agreement with Aqaba Company for Ports Operations and Management, under which it will provide the company with mobile services. This new agreement is part of a previous agreement between both parties, where Orange Jordan offered fixed line services and the internet becoming the exclusive telecommunications provider for Aqaba Company for Ports Operations and Management. 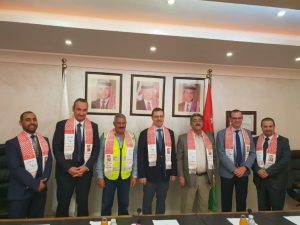 CEO, Jérôme Hénique signed the agreement on behalf of Orange Jordan, during a recent visit to the South, and on behalf of Aqaba Ports Management and Operation Company, its General Manager, Engineer Mohammad Mubaydeen. During the signing ceremony, Hénique expressed his pleasure in continuing the partnership with the Aqaba Company for Ports Operations and Management, which is considered to be one of the most important elements of maritime transport sector in the Kingdom and a major center for Jordanian trade. Adding that “As the strongest provider for business solutions, it is our responsibility at Orange Jordan to provide integrated telecommunication solutions and to provide our customers with an unmatched experience, the thing which falls in line with our five-year corporate strategy Essentials 2020, which aims to connect people to all that matters to them and is essential in their daily lives”. Orange Jordan is committed to providing high-quality, integrated telecommunications solutions to deliver significant digital advances across the Kingdom. In order to achieve its objectives, the company has invested hundreds of millions of JDs in the past years to develop the telecommunications sector, through allocating substantial amounts for the acquisition of new frequencies, and developing its networks, especially those that provide broadband internet services to ensure the quality of coverage and the provision of high capacities, in addition to renewing 2G and 3G networks. The company has also invested heavily in New Generation Networks (NGNs), including LTE, Fiber-To-The Home (FTTH), Fiber-To-The-Business (FTTB), as well as extending coverage of 4G, 4G+ network. 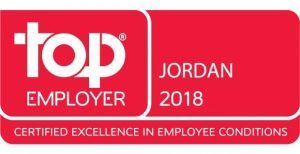 Orange Jordan has recently received the “Top Employer Award” for 2018 in the Kingdom for the third consecutive year from the global Top Employer Institute. 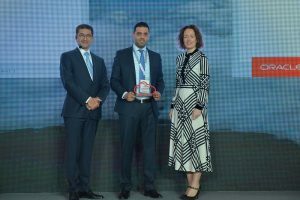 Orange Jordan was selected from among many reputable companies and institutions noting that the Top Employer Institute is one of best accredited institutes in the world specializing in recognizing excellence of employers in regard to creating a positive work environment. According to Orange Jordan, the certificate reflects company’s efforts to implement the best Human Resource practices and policies including talent management, leadership, training and development, and other career related and strategic initiatives that contribute to improving the internal work environment.Moreover, Orange Jordan has recently received the European International Standard for Gender Equality (GEEIS) for the first time, achieving an exceptional grade; three out of four until 2020, in this important international standard. 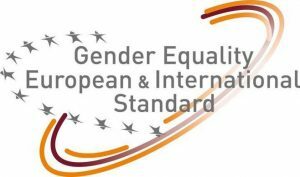 This certificate reflects company’s commitment to applying the principle of gender equality in regard to payment scale, professional diversity and access to managerial positions. Orange Jordan always strives to provide the best for its employees, focusing on improving its workforce and enhancing its role as a company that strives to be a digital model that cares about people, not only focusing on customers and members of the community, but also on employees whom the company always seeks to enrich their experience, which reflects positively on the customer, falling in line with the company’s five year corporate strategy “Essentials 2020”. In the framework of dedicating the supervisory role of the Central Bank of Jordan in the field of protecting rights of individual customers, especially those of consumption and personal loans, instructions have been enacted to banks in order to establish a new department which deals and handles customers complaints. 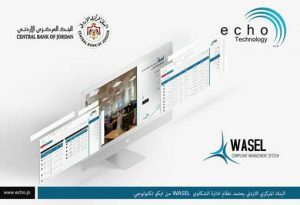 The Central Bank of Jordan automated it complaint management process using WASEL from Echo Technology to manage and process the electronic complaints. As part of its network enhancement in different governorates across the Kingdom, Orange Jordan’s CEO Jérôme Hénique announced the company’s rollout of the advanced 4G+ service in different areas in the south governorates, and the launch of the revamped Home Broadband offers. The announcement was made during a press conference held in Aqaba, in the presence of Chief ITN & Wholesale Officer Waleed Al Doulat and Chief Consumer Sales Officer Samer Al-Haj, along with a number of executives from Orange Jordan, and media representatives. During the press conference Hénique stated that the rollout of the advanced 4G+ for mobile service and the launch of the revamped broadband offers came this year as part of Orange Jordan’s overall network plan enhancement in different cities and governorates across the Kingdom. This step stems from the company’s continuous efforts to remain the provider of the strongest internet for mobile and home, which will result in the best customer experience, through providing high-quality telecommunication and internet services, while stressing the company’s determination to make tangible digital progress in all regions of the Kingdom. Hénique added: “Since the launch of our five-year corporate strategy “Essentials 2020” in 2015, we at Orange Jordan have made substantial investments that will reach up to JD 300 million by the year 2020, as we remain committed to the development of the ICT sector, and to the increase of internet penetration across the Kingdom. For the past few years, we have been concentrating on the development of New Generation Networks (NGNs), including, Fiber-To-The Home (FTTH), Fiber-To-The-Business (FTTB), as well as extending the coverage of 4G and 4G+ (LTE advanced Pro) networks to all areas in the Kingdom. More than JD 100 million were allocated to acquiring new frequencies from the TRC, upgrading the existing network, installing new towers across different governorates, and to the rollout of the latest version of the fourth generation network (4G+) for mobile service, hence providing customers with faster and better connectivity with the highest quality at affordable prices. Chief ITN & Wholesale Officer at Orange Jordan, Waleed Al Doulat, offered more details about the network enhancement achievements, saying that company has recently added 44 new mobile towers in the southern governorates, with 14 sites in Aqaba, 9 sites in Ma’an, 10 sites in Tafileh, 11 sites in Karak, and more sites are still under construction. Chief Consumer Sales Officer Samer Al-Haj presented all the special offers and packages designed to complement the network enhancement, including Orange 7 and above, as well as the “Humat Al Watan” golden line, offering subscribers 500 minutes to call all networks and an extra 5 GB of internet for free. He also highlighted the recent launch of the new Yo platform targeting the youth with the best offers that respond to their needs, where “Jama3ty” lines are offered up to 80% discounts on the first month subscription with a new SIM card. This offer is available now in Alhusein bin Talal University in Ma’an. Al-Haj said: “We have also revamped our existing Home Broadband offers by adding new devices that offer high speeds, such as the ADSL internet offer; which includes the new “Orange Home Box” offering high-internet speed reaching up to 24 Mbps with unlimited downloads, starting from only JD 10 per month, the 4G IEW offer with “Orange Flybox” which also offers very high-internet speed and download capacities for the entire family, and is easy to install, from JD 13 per month. Orange Jordan currently covers 92% of the Kingdom’s areas with 4G/LTE and has deployed 6,000 kilometers of FTTB cable, and is currently in the process of installing more than 700 kilometers of additional fiber cable. 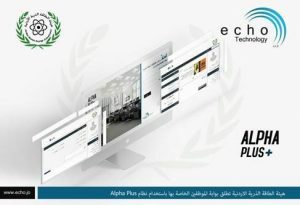 اطلقت هيئة الطاقة الذرية الأردنية بوابة الموظفين الخاصة بها بالاعتماد على نظام Alpha Plus الذي يوفر للموظفين كافة التعليمات والقوانين والانظمة ومكتبة الوثائق بالإضافة الى خدمة نشر الاخبار وعرض الاستبيانات. يقدم نظام AlphaPlus خدمات الكترونية متعددة من اهمها خدمة طلب الاجازات والمغادرات وخدمة كشف الراتب، ليوفر بيئة عمل اكثر مرونة واحترافية. ومن الجدير بالذكر بان هيئة الطاقة الذرية الأردنية تهدف الى نقل وتطوير وتعزيز الاستخدامات السلمية للطاقة النووية. Orange Jordan recently awarded scholarships to undergraduate and graduate students at Princess Sumaya University for Technology (PSUT) to assist them with completing their studies. The scholarships included several disciplines which are in demand by the labor market, including Communications Engineering, Networks and Information Security Engineering and Data Science. Students were selected according to certain criteria by a special committee. CEO of Orange Jordan, Jerome Hénique, said that the long-term partnership with PSUT has noble goals, most notably providing learning opportunities to the youth and contributing to their support according to a common ground shared by both parties, as well as providing students with a better future that will enable them to serve their country, stressing that the company offered a lot of previous scholarships to PSUT students, in order to assist them with their bachelors and master’s degrees in different specializations. From his side, the University President, Dr. Mashhour Al Rifai praised the cooperation between the University and Orange Jordan and its support of outstanding students to help them complete their studies, which also indicates the company’s appreciation of the university graduates’ reputation, efficiency and achievements in the local work market. Dr. Rifai also thanked Orange Jordan for their support and expressed the University’s aspiration for further cooperation with the company. Orange Jordan recently renewed its agreement with PSUT, which originally began in 2012. 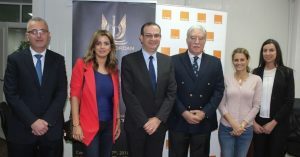 The renewed agreement was signed by Orange Jordan’s CEO Jerome Hénique and the university’s President, Dr. Mashhour Rifai. Through this agreement, Orange Jordan provides scholarships to outstanding PSUT students, in addition to providing the green area on campus with services which include: free Wi-Fi, tables, benches and umbrellas for bus shelters. As part of its Corporate Social Responsibility and Entrepreneurship plan, stemming from its five-year corporate strategy “Essentials 2020”, Orange Jordan is committed to empowering the local community on both social and economic levels, through supporting top performing students, hence providing opportunities for ambitious young people who will contribute to the socio-economic development of the Kingdom. 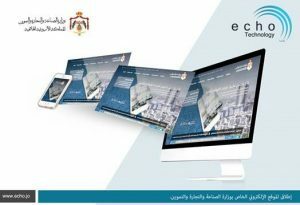 Echo technology is pleased to announce the launch of the ministry of industry, trade and supply’s new website under the domain name www.mit.gov.jo , along with a modern design, and a platform that compiles with W3C (World Wide Web Consortium) standards. 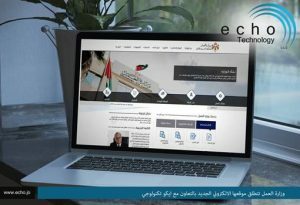 This ministry’s website is the first website in Jordan that is stamped by W3C, where the website standards includes features for special needs browsing, ease of use and W3C’s design standards. The website provides various online services that build based on the user needs and the international standards used in the field of e-services to serve businessmen and citizens.